Fewer than 500 turned up at the 6,000-capacity Jalan Besar stadium to watch the Singapore football team’s loss to Thailand in last Monday’s Asian Youth Games (AYG) match, reported The New Paper. On the same day, the Singapore Sports Council revealed that only 7 per cent of the 52,000 AYG tickets released to the public have been sold. What happened? Where’s the love, Singapore? Why are we giving the first-ever AYG the cold shoulder? 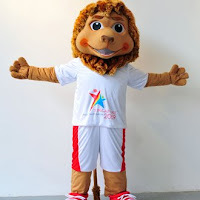 The games, which will close on Tuesday, have a torch relay, an opening ceremony, a theme song, a creepy anthromorphic animal mascot and everything. Unfortunately, there’s also a recession, H1N1 and some genius had the bright idea of scheduling the games right after the June school holidays. Is that really it? Of course not. 1. It’s not free, you know. To attend any AYG event, you have to pay from $2 (for the early rounds) up to $8 (for a semi-final or final game). On top of that, Sistic charges a booking fee. After all, we have to save up for the Singapore F1 race in September – more specifically, September 3009. With the F1 tickets costing up to $1,388 each, we’ll have to skip quite a few AYGs to save enough money. 2. Reportedly, the AYG is a dress rehearsal for the first Olympic Youth Games to be held in Singapore next. Who pays money to watch a rehearsal? 3. It’s no Singapore Arts Festival. Apparently, the dancing monks were a big hit. 5. It’s not in computer-generated 3D. Did you see Monsters Vs Aliens in 3D with those silly glassess? That was cool. Even the new Ice Age movie is in 3D. Real-life 3D is so passe. 6. It doesn’t have giant shape-shifting robots from outer space. Transformers: Revenge Of The Fallen earned $4.55 million at the local box office last weekend, making it the all-time biggest opening in Singapore. That kind of moolah can buy quite a few AYG tickets with enough change left over for one or two thousand F1 tickets. 7. It doesn’t have Megan Fox. See above. 8. There’s no Michael Jackson tribute. Young kids and the King of Pop go together like hand in glove. 9. There’s no Farrah Fawcett tribute. Sorry to say this is just a informal letter. :) Not meant to be sarcastic or spastic in whichever way one might think. In referal to your column on the F1 tickets part... Lol.. i dont think they can live 10 decades of life span to live up to 3009 just to buy a F1 ticket XD.. Unless i take that wrongly :S.. 1000 years later.